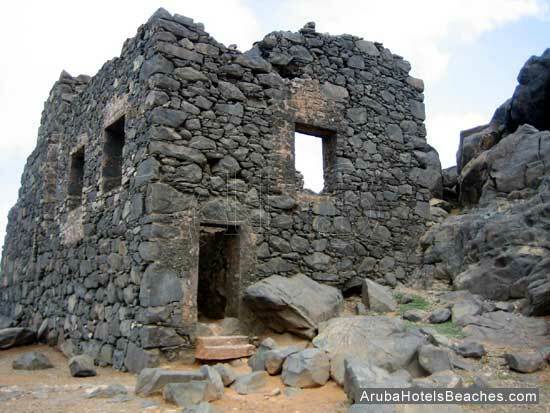 Bushiribana Gold Mill Ruins, Aruba's historic gold smelter build in 1824. 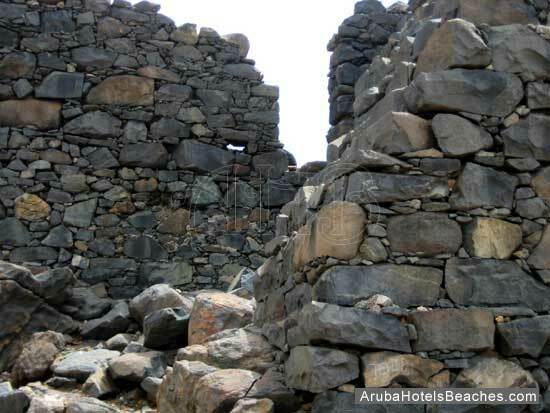 While on the island of Aruba you may want to visit the Bushiribana Gold Mill Ruins. 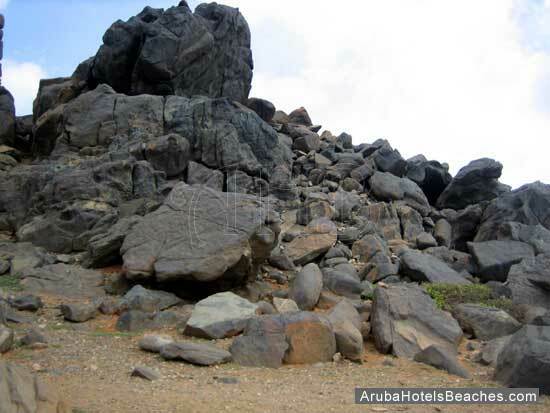 It is located on the rugged northern coast of the island near the site of the natural bridge that collapsed in 2005. Although it cost nothing for you to explore the Bushiribana Ruins, you might want to go there with a tour guide. It would help to have someone who could tell you a little about the history of the Ruins. There are no guides there and you will not find information pamphlets in the area that would help you understand what you are seeing. There also is no shade for you to take shelter from the sun, so wear a hat and sunscreen. 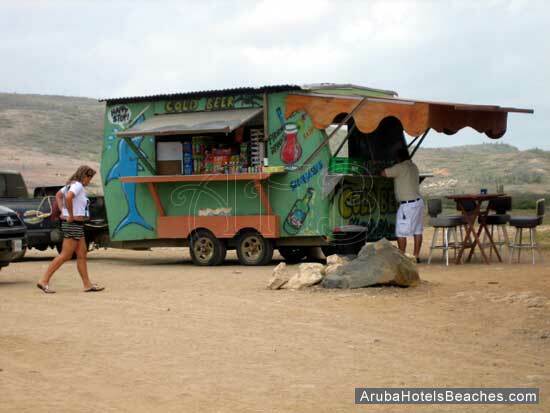 There usually is a man with a truck who sells snacks and drinks nearby but I suggest you bring your own. I’m sure you won’t be spending much time there, but it is an interesting place to take photos as you climb through the rocks, so bring your camera. Here is a little bit of history just in case you take a ride to the site on your own. 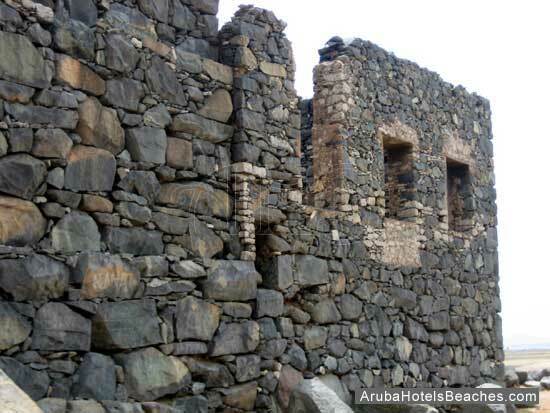 The Bushiribana Ruins, built from natural stone, were once used by pirates as a hideaway. 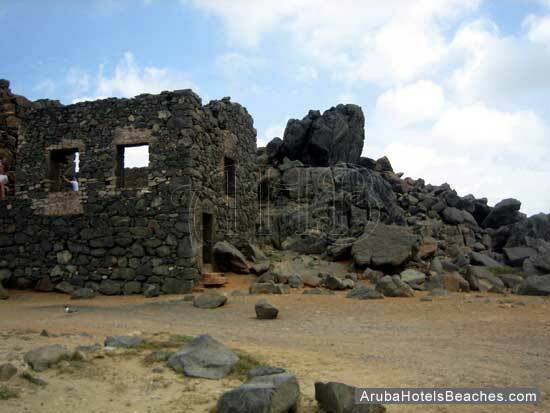 In 1824 gold was discovered on the island and later the Bushiribana smelter was built by the Aruba Island Gold Mining Company for gold that was mined nearby at Seroe Plat. 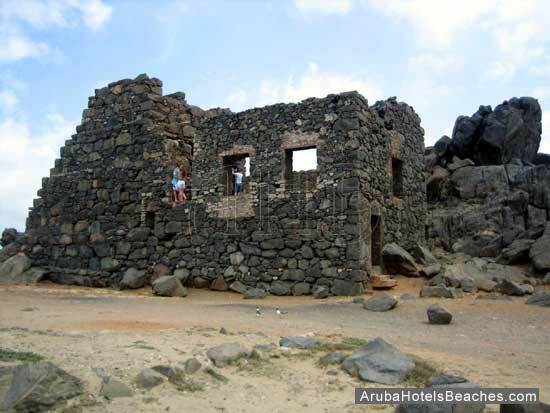 In 1899 there was another gold smelter built by the Aruba Gold Concessions at the southern end of the island at Frenchman’s Pass named Balashi Gold Mill. After you stop at the Bushiribana Ruins why not take a drive through Arikok National Park.